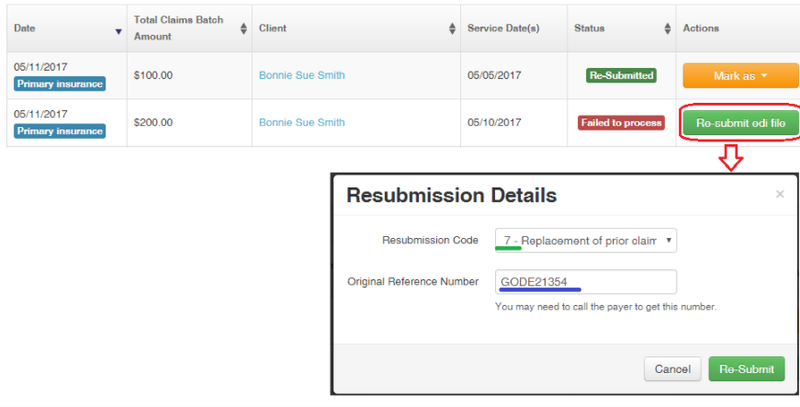 To fill box 22 of the CMS 1500 claim form: Resubmission Code/Original Reference number, first select "Ask for resubmission details prior to Re-Submit failed claim" in the EDI file settings of the Insurer Details page (Billing > Insurers). 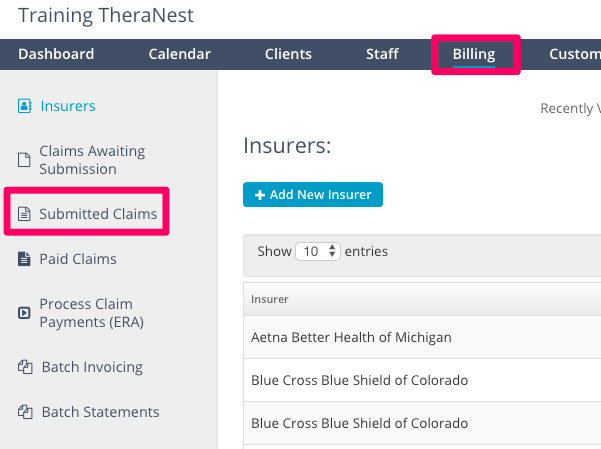 Click Billing > Submitted Claims. 2. Mark the claim as failed to process by clicking Mark As > Failed to Process. 3. Correct the error in the client's profile or invoice and save the page where the update is being made. 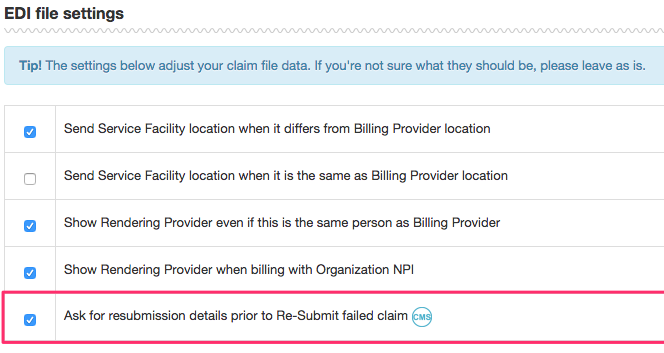 Resubmit the claim by clicking the Re-submit edi file button. Original Reference Number (you may need to call the insurance payer to get the Original Reference Number).